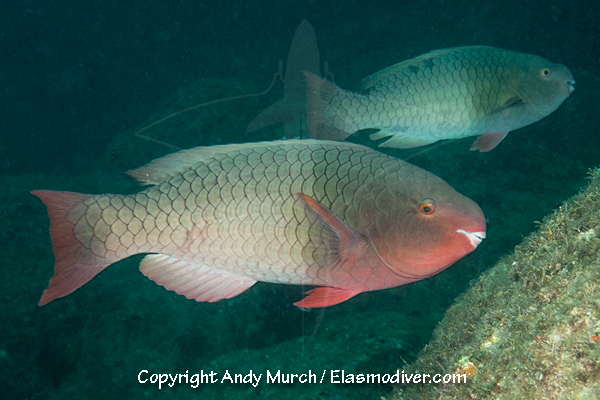 The Bicolor Parrotfish (Scarus rubroviolaceus) is a common inhabitant of coral and rocky reefs in the Sea of Cortez and Eastern Pacific. It is named after its intermediate phase which displays an obvious dark front half and light rear section. The terminal phase color is distinctly different and consists of a greenish blue base with bright blue lines and blotches around the mouth and eye. 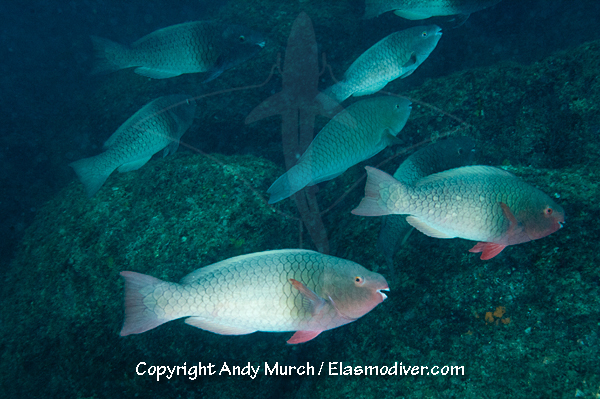 These Bicolor Parrotfish pictures are available for commercial licensing. For further information regarding usage please e-mail Elasmodiver. All of the images on elasmodiver.com are copyright protected. 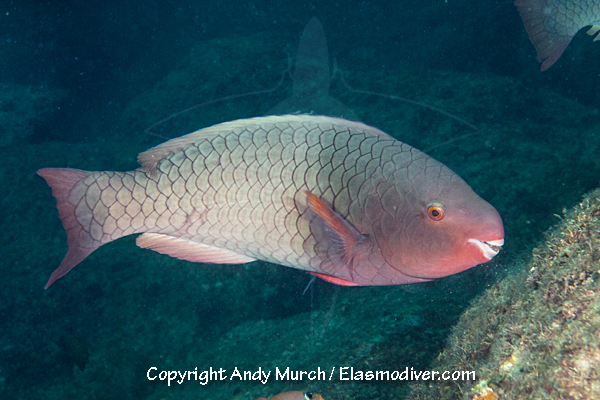 No unauthorized use of these Bicolor Parrotfish pictures is permitted. Please contact Elasmodiver for further information.